Editor's Note: Below translated by Google from the original German. German or French, 1st half of 14th century. 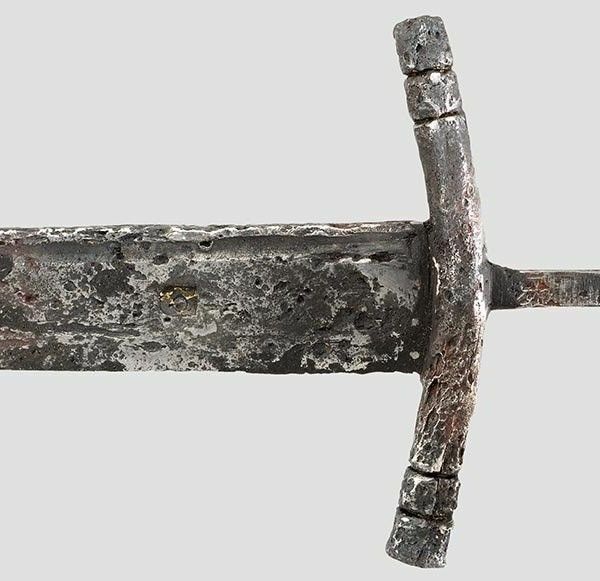 Strong single-edged blade with fullers on both sides narrow. One side beaten brand containing small amounts of gold plating. Strong, slightly curved towards the blade guard. Slim Angel with flat shift knob. Cleaned and in places easily restored archaeological find.